Prof Guna Magesan addressing International Conference for Development Discourse in Hyderabad. Hyderabad: With alternative medicine catching up with many, constant efforts are being made to tap the lost knowledge of traditional medicine. 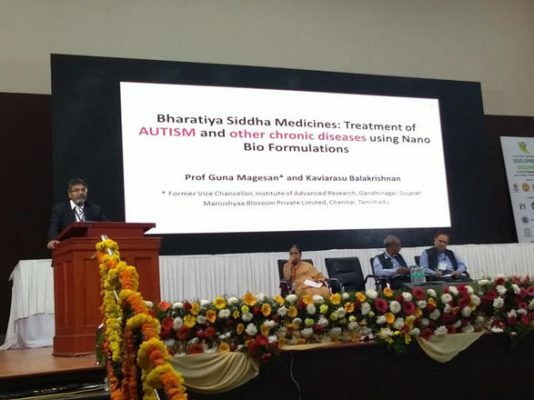 Senior scientist from New Zealand and former Vice-Chancellor of Institute of Advanced Research in Gandhinagar, Gujarat, Prof Guna Magesan, is among those who have been experimenting on nano medicine coupled with the treasure of ancient knowledge ‘Siddha’, to cure lifestyle, degenerative and life-threatening chronic diseases. 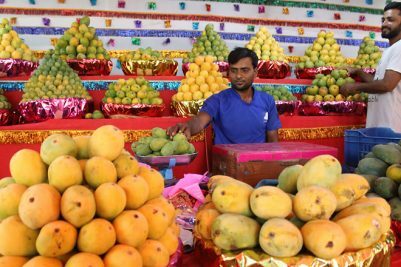 In an exclusive chat with ‘Telangana Today’ while in the city to attend a conference, Magesan spoke about the essence of nano medicine and various aspects of biological farming techniques he successfully implemented in converting over 40,000 hectares to biological farming in New Zealand. “If a particle size that is 10 to the power of -9, then it is called ‘nano’ in mathematical terms. Nano research is picking up the pace all over the world. Unless you have the particle size of nano, the desired colour for the medicine cannot be achieved. For example, traditionally in India, people use ‘Sindhuram’, it comes to reddish colour only when it is in nano particle size. Siddha is an ancient traditional medicine that originated in India and has its roots alive in some parts of Tamil Nadu. The practice of Siddha was in mainstream since ages but gradually lost its sheen due to change in the socio-economic scenario,” Magesan said. “In the process of raising awareness among farmers on biological farm techniques, we made an effort to decrease the usage of synthetic fertilizers gradually by increasing organic-related farm composts. Hence, the production was not affected while it achieved the desired results in farm output. Farmers who made a single-step approach from shifting conventional farming to organic farming have failed miserably. When we followed the biological farming procedure, many farmers, especially indigenous Polynesian people of the native land, followed it and were successful,” he says. Magesan’s start-up Manushya Blossom Private Limited has also discovered Siddha-based nano bio formulations (medicines) for autism and ulcerative colitis.